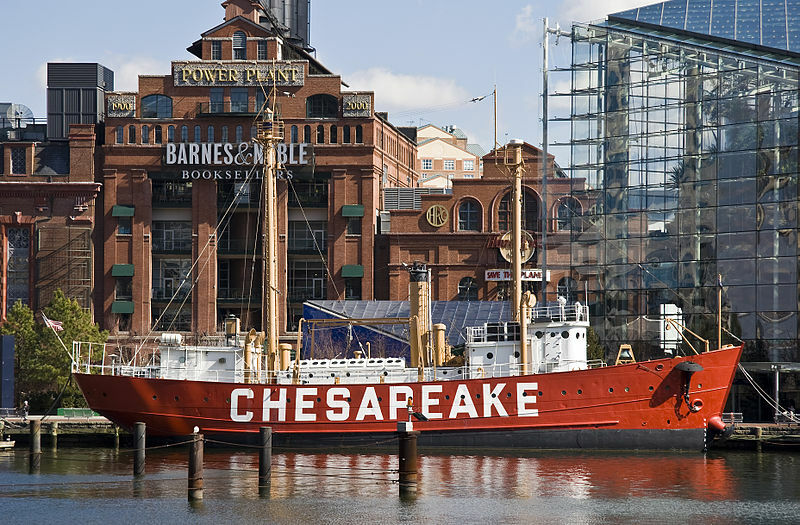 Historic Ships in Baltimore is an impressive collection of 4 former military vessels and one lighthouse. Visitors can choose to tour 1, 2, or all 4 ships, and admission to the Seven Foot Knoll Lighthouse is free for everyone. The ships are located on Piers 1, 3, and 5, and they include the USS Constellation, which was built before the Civil War. Tours are self-guided, and you may find yourself surprised at how colorful and fascinating the history of these vessels really is. The Maryland Science Center boasts a variety of interactive exhibits, an IMAX theater, and a planetarium. Families can spend all day with the engaging exhibits, watching live experiments on the Demo Stage, and exploring the stars from the observatory. With special events always going on, it’s definitely worth a visit. The National Aquarium draws visitors from all over the world. It is home to more than 17,000 living creatures, including jellyfish, sharks, dolphins, and an impressive variety of birds and amphibians. You could easily spend a few hours immersed in the beautiful exhibits. The aquarium is truly a must-see when visiting the Inner Harbor. Baltimore’s Little Italy neighborhood is just a few blocks from the Inner Harbor, making it a quick walk. Choose from dozens of family owned and operated restaurants, cafes, and bakeries, specializing in delicious Italian dishes. It’s the perfect place to have a glass of wine and a big plate of fresh pasta. You definitely won’t leave the neighborhood hungry. Power Plant Live is a collection of dining and entertainment venues situated a block away from the Inner Harbor. On any given day (or night! ), you can catch concerts, comedy performances, and throw back a few drinks. The combination of indoor and outdoor areas makes it an ideal place to hang out when the weather is nice. Families have to make a stop at the Port Discovery Children’s Museum. Here, kids can get hands-on with playful exhibits like Harvest Hill, Adventure Expeditions, and Tiny’s Diner. Not only do the little ones get to play, but they also learn at the same time. Forbes magazine has ranked it among the top children’s museums in the country, so if you have kids, you know you can’t wrong with this place. 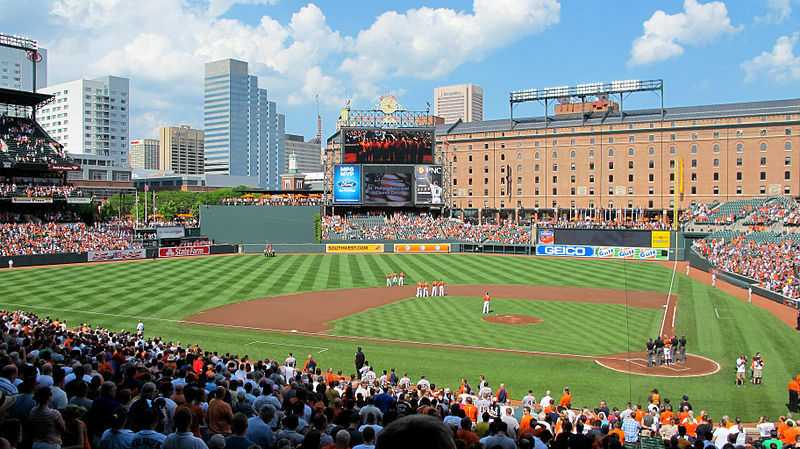 Oriole Park at Camden Yards is the home turf of the MLB’s Baltimore Orioles. It’s conveniently located within walking distance to numerous hotels, the convention center, and the Inner Harbor. When baseball season is in full swing, you can get tickets to a game at this classic stadium. You can also stop in to the Sports Legends Museum at Camden Yards in any season, where admission is only $8.00. History buffs will want to see Fort McHenry National Monument and park. It was this fort, involved in the Battle of Baltimore in September of 1814, which inspired the writing of the Star-Spangled Banner by Francis Scott Key. A self-guided tour will only take a few hours. Baltimore’s Inner Harbor is a great place to visit in any season. There’s always something fun going on by the water. Be sure to plan on doing a lot of eating, drinking, and exploring as you check out the Charm City. Lauren May is a freelance writer, travel lover, and one time expat. She’s had an incurable case of wanderlust for as long as she can remember. When she’s not planning her next trip, you can catch her blogging over at The Write Budget. I haven’t been to Baltimore, but my Dad has been there on business trips in the past. He said Camden yards is one of the best stadiums he’s been to. I would love to visit sometime. I’ve always loved Camden Yards. It was really the template for a lot of how the “newer” baseball stadiums look. It is a beautiful stadium. It really is a great looking stadium, and the location couldn’t be better. My sister is a 10 minutes walk from Ft McHenry. We pretty much always end up taking a walk over there when we visit her. It also helps that the neighborhood she is in is actually one of the safest in Baltimore too! Safety is always good 🙂 Thanks for stopping by Brian!